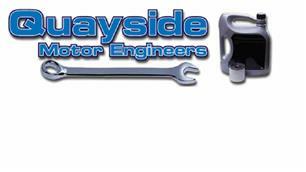 Quayside Motor Engineers Ltd - Garage/Vehicle Services based in Southampton, Hampshire. Invoice history based on 249 reviews. Our Staff are fully qualified technicians. We are also Southampton Trading Standards approved. All work comes with a 12 month labour and part warranty.